Brussels (AFP) - French President Emmanuel Macron said Thursday that Europe was "finally" united in addressing the threat from China, as Chinese President Xi Jinping launched a five-day tour of the continent. The EU is split on handling China, with some fearing the rise of a global superpower and others, especially in Europe's south, willing to make deals for investment in ports, energy and transport. "Since the beginning of my mandate, I have been calling for a real awareness and defence of European sovereignty," Macron said as he arrived for a two-day EU summit in Brussels. 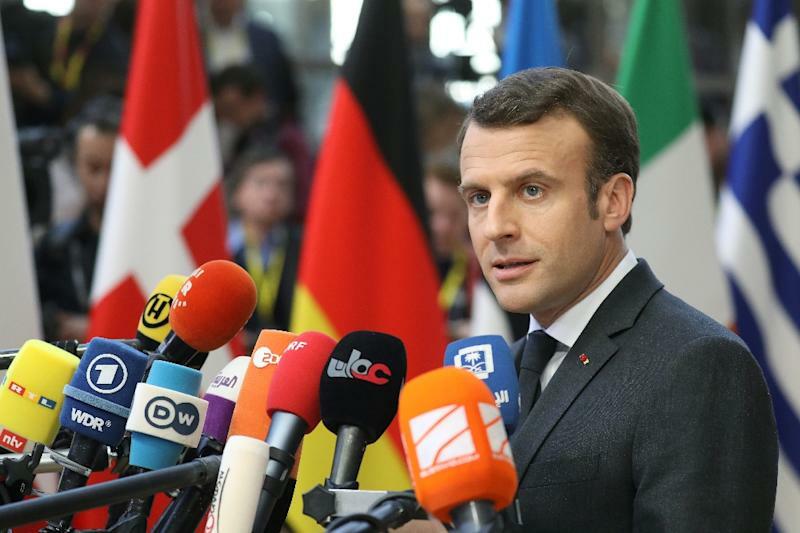 "Finally, on subjects as important as China, we have it," Macron said, hailing the European Commission's document as a "very good" strategy to manage Beijing. "I welcome this European awakening," he added, before EU leaders were to discuss relations with China. The commission proposals include measures to push Beijing to agree to reforms of World Trade Organization rules, particularly on subsidies and forced transfers of technology. Beijing answered that it hopes Brussels can view China in an "objective, fair and rational manner." On his trip Xi is expected to secure a non-binding agreement for Italy to join the $1 trillion Belt and Road Initiative, spooking EU partners that Rome was ready to open its doors to Chinese investment and influence. The Italy signature comes before Xi is to have dinner on the French Riviera with Macron. Human rights abuses are also a contentious issue among Europeans and China said Thursday it had invited EU diplomats to visit the restive northwest region of Xinjiang, where Beijing is accused of rights abuses against the ethnic Uyghur Muslims. Officials said the dates of the visit and other arrangements were under discussion.